MOSCOW, December 19. /TASS/. Serbian Prime Minister Aleksandar Vucic said on Monday he plans to discuss purchase of Russian Buk anti-aircraft missile systems when he will be paying a visit to Russia. Earlier in the day, Vucic announced plans to buy six Russian MiG-29 fighter jets. MOSCOW, June 3. /TASS/. The order portfolio of Russia’s arms exporting company Rosoboronexport has reached $48 billion, Director General of the State Corporation Rostec Sergey Chemezov said in an interview published by the Kommersant daily on Friday. “Until recently, our order portfolio was $45 billion, and now has increased to $48 billion. The volume of supplies through Rosoboronexport today exceeds $13 billion annually, and together with other companies – exceeds $15 billion,” said the Rostec head. According to him, the major buyers of Russian weapons – China, Algeria, Vietnam and Egypt – will have the sufficient financial capacity to maintain the weapons purchase dynamics in the coming years. In particular, Chemezov said that China, Egypt and Algeria are very interested in the Buk-M2E and Antey-2500 anti-aircraft missile systems, as well as in the S-400 Triumph missile systems. “Many customers request the deliveries of the arms they ordered ahead of time, but we right away warn them about the schedule and order of priority – as was the case with China,” said the Rostec CEO, adding that the Chinese army will receive the S-400 missile systems no earlier than 2018. 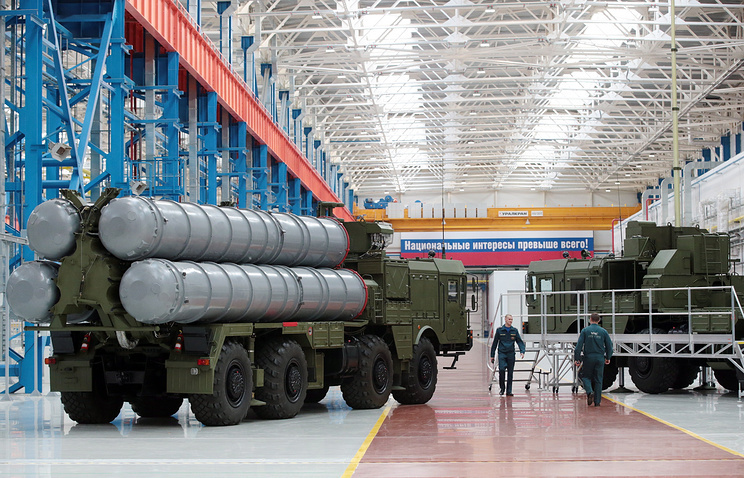 Chemezov also said that the S-300 air defense missile systems under the contract with Iran will be supplied before the end of the year. Rosoboronexport cooperates with more than 700 enterprises and organizations of the Russian defense industry complex and its military-technical cooperation geography includes more than 70 countries.